The average American produces over four pounds of garbage every day. With the help of professional companies that offer Trash & Recycling Services in College Station, TX, part of that can be reclaimed and re-purposed to save on energy and keep more trash out of the landfills. But before that even happens, there is another way to go green. Reuse common types of trash before you recycle to make a big impact on how much material gets wasted every day. 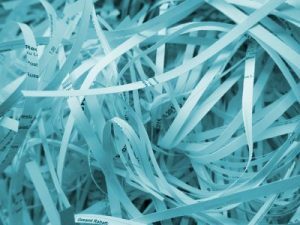 Paper gets recycled more than any other type of material, but it can also be re-purposed before it needs to be collected on trucks, shipped to a processing plant and run through the recycling process. If you have children, there are thousands of paper crafts they can try. Any piece of paper should be used as much as possible. Do not throw away pieces that are still blank on the back or half empty. Paper printed with only black ink can be shredded or torn and used for garden mulch or be put in the compost heap. Some say plastic is humankind’s legacy to the planet. Different sources say between 10 and 20 million tons of it end up in the oceans every year. A conscientious recycling service makes a dent in these numbers, but reducing the amount you use and throw away to begin with helps more. Plastic storage containers have many uses. They can be washed and reused again and again to store leftovers, lunches, craft supplies, small toys, or nuts and bolts. Smaller plastic containers make excellent ice cube makers as well. All types of organic scraps and waste from the kitchen should be re-purposed back into nature without going anywhere near the garbage can. Homes with any type of gardens – from vegetable to flower – can create rich, nourishing compost. Just digging the scraps into the soil around plants can help too. Before you head outside, consider ways to reuse kitchen scraps in the kitchen. Save well-washed vegetable cuts and peelings to make hearty stock. You can even freeze them in blocks of water from ice cube trays. Boil down bones for soup or bone broth. Turn dry bread crusts into breadcrumbs using a food processor. As long as the scraps are not moldy or rotten, eat them instead of throwing them away. The more material you reuse, the less has to go through the recycling process or end up polluting the earth. Once each item has finally reached the end of its usefulness, recycling is still the best option. A professional trash and recycling management company can help your efforts to keep the environment green and clean.